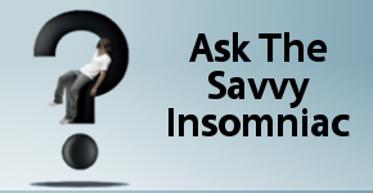 Interest in herbal and other alternative treatments for insomnia seems to be on the rise. About 5% of the participants in a national survey reported use of complementary and alternative medicine (CAM) for insomnia in 2002. A recent analysis of the same national survey conducted in 2007 found that almost 50% of participants with insomnia symptoms used some form of CAM therapy. Some insomniacs see alternative medicines as less risky than prescription sleeping pills, with fewer potentially harmful side effects. Because they are “natural,” they’re viewed as more appropriate for long-term use than many sleeping pills, which, if used nightly, tend eventually to degrade sleep quality. Most herbal remedies for sleep have not undergone as much testing as prescription sleeping pills (one reason may be that there’s relatively little money to be made on them). But as with sleeping pills, tests that have been conducted on herbals often show subjective sleep improvements that exceed objective measures. The perception that herbal supplements improve sleep could be due to a placebo effect. Or, say the Massachusetts researchers, it could be attributable to basic differences among trial participants, including different insomnia symptoms. It could be that, just as a particular sleeping pill works for some insomniacs and not others, a particular herb may relieve insomnia in some people and not others. Since the overall efficacy of herbal preparations for insomnia is still unknown and may differ from person to person, the researchers opted to consult six authoritative resources in their search for herbal and supplement remedies of potential relevance for insomnia, including reference books such as the Physician’s Desk Reference for Herbal Medicines (PDR) and online sources such as Medline Plus. In all, they came up with a list of over 70 herbal agents of possible benefit to sleep. Natural substances are not necessarily safe for unrestricted use. The PDR for Herbal Medicines cautions against using several during pregnancy. Some herbs may be harmful to the liver. And, as herbal supplements are unregulated in the United States, the contents of a supplement do not necessarily reflect what appears on the label. In fact, a majority of herbal remedies evaluated in a recent study had contamination, substitution, or use of fillers not listed on the label. Let’s say you’re a sleep maintenance insomniac, awakening at least twice a night to feelings of anxiety. You’ve heard that passion flower is good for sleep and anxiety, and you’d like to try it to see if it cuts down on your nighttime wake-ups. But how long should you try it? Two nights, three nights or more? Many insomniacs experience quite a bit of night-to-night variability in their sleep. When you’re stressed out you might sleep poorly for 4 or 5 nights in a row before you get a decent night’s sleep. If you tried taking a passion flower supplement for just 2 or 3 nights during a time of stress, the results you obtained wouldn’t be reliable. You might obtain a different result if you tested the passion flower during a 3-day period when your life was moving along on an even keel. I’ll skip the authors’ discussion of statistical power and cut to the chase: you need to test a substance for 10 nights in a row to have reasonable certainty that the result you obtain is repeatable and you’ve got enough data to answer the question of whether passion flower improves your sleep. Simplify sleep. For you, does “good sleep” mean falling asleep sooner, sleeping longer, waking up feeling more rested, or waking up less at night? Choose the one thing that for you would most improve your sleep. Set a goal. Choose your target “good night” value and a percentage of nights for which this target value must occur. Let’s say you decide that a good night is a night when you awaken just 1 time or less (and on a bad night you awaken 2 times or more). Let’s say you set your goal at awakening 1 time or less on at least 70% (7 out of 10) of the nights. Choose a therapy. Try one intervention at a time. Starting a passion flower supplement and a yoga class at the same time will muddle the results. Do the 10-day test. Every day, record good nights and bad nights in a diary. Calculate the outcome. Did you achieve your goal? If so, you can conclude that passion flower improves your sleep. If you didn’t achieve your goal, clearly the passion flower did not work. Choose another therapy, starting the process at #3. If your results are borderline, continue testing for another 10 days. Then recalculate to ascertain whether you’ve met your goal of awakening 1 time or less on 70% of all 20 nights. 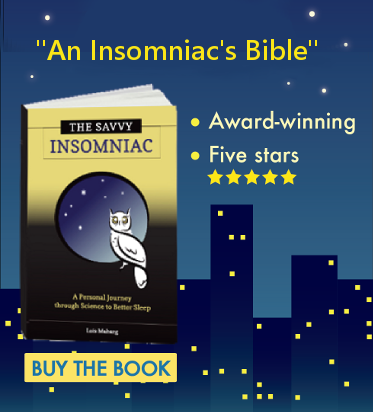 Insomniacs are big experimenters, I learned as I was conducting research for my book, The Savvy Insomniac. Several expressed interest in herbal and other alternative treatments. If you’re going to experiment, you need a systematic way to assess whether the remedy you’re trying improves your sleep or not. These Massachusetts researchers have given us a goal-oriented algorithm for doing exactly that. It’s helpful to have the steps and the criteria for looking into the effectiveness of these possible treatments spelled out so clearly. Thank you. Thank you, Eric, for your appreciative comment. Some herbal remedies for insomnia have more potential, I think, than many give them credit for.